BetOnline is an online bookmaker that offers players with a wide range of services. It is one of the best bookmakers that is known as an “all-in-one” gambling site. BetOnline has been operating since 2004 meaning it has been in the gambling industry for a number of years. It is considered as one of the world’s most famous bookmaker and it is trusted by most online gamblers. At first, the brand’s player base was based on American bettors but they now offer their services to other punters across the world. With more than 10 years of experience, you expect nothing less from this bookmaker. In this BetOnline overview all the betting options, markets and banking methods will be discussed in detail. This is a bookmaker that suits every type of gambler and it can never disappoint. BetOnline is an online bookmaker that has been operating for more than 10 years. It was established in 1991 but started operating in 2004. The bookmaker currently holds a license from Panama. BetOnline has a top-class reputation and every player should consider signing up at this bookmaker. Largely, BetOnline consists of American players but it also serves other bettors across the world including the UK customers. It is monitored by the regulatory authority of the Panama Gaming Control Board. The site started as BetOnline.com but in 2012, they had to move to .ag because of increased pressure they got from the Department of Justice. This was a precautionary measure that made them change their domain name. 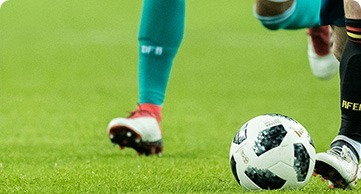 Since the bookmaker is licensed, the regulatory body ensures fair play and handles all the serious disputes arising from the site. In the years of existence, BetOnline has received a few complains meaning that it is a trusted online site that every player can bet on and feel secure. The bookmaker offers players with betting apps that they can use to access the bookmaker’s website..
BetOnline has gained such a large audience and still more customers are signing up at this site. This has to be attributed to some positive aspects of the bookmaker. Players are always looking for a bookmaker that offers them variety and different options. One of the things that customers like about BetOnline is the markets on offer. The bookmaker has a wide range of markets available for their players. There are also other events offered on BetOnline. The bookmaker also has some of the best betting odds that any online bookmaker would offer. The odds are quite competitive with the payout standing at 96.5%. This makes it one of the highest among most bookmakers. It can also be said that BetOnline as one of the best online live betting bookmakers due to the quality of the live betting service they offer. Some of the things that make this bookmaker outstanding are the abundance of the BetOnline payment methods and the promotions available for customers to exploit. With so many options to choose from when making a deposit, this is definitely a well-covering bookmaker that has catered for different choices. Another amazing feature of this bookmaker is the mobile betting app that allows players to bet from any mobile device that is web browser-enabled. All the features and options that are on the BetOnline website are available on the mobile app. The website has a great design that has used colours that are not too flashy and neither are they forgettable. The site is user-friendly and navigation is easy with all the icons being well-arranged. Customers like betting on a site that offers them a reliable customer support. BetOnline’s customer service does a decent job and they can be contacted in case you face any problem while playing on their site. Most customers have always said positive comments about this bookmaker and the only complains made against the site have been quickly resolved. This makes BetOnline one of the world’s top leading bookmaker and it is the most suitable option for every type of online bettor. BetOnline offers its customers with some top betting bonuses and promotions. Those who sign up for a BetOnline account get to receive a 50% free play bonus after making the first deposit. For you to qualify for this bonus you have to be a new user and make your first deposit at BetOnline. There is also another promotion that players can take advantage of and that is the lifetime bonus guarantee. Once a customer makes a deposit and it goes through, they get 25% bonus for the sportsbook. This can be referred to as the reload bonus and it is by far one of the most generous reload bonus in the gambling industry. If you make a deposit using Cryptocurrency and it is your first time, you can use the promo code BOL1000 and get a special 50% bonus. There are other numerous promotions players can enjoy on BetOnline. BetOnline betting odds and markets are pretty decent. The betting markets are well-varied with over 20 different sports being offered. The brand mainly focuses on the main betting markets such as over/under, money line for the winner of the match, handicaps and of course live betting. Compared to its competitors, BetOnline does provide a sizeable amount of sports to bet on. You will definitely find some of the most loved games and you won’t miss any action. The main focus is on Tennis, American football, baseball, rugby, basketball, golf and hockey. It is quite evident that BetOnline has catered for every player. As for the odds, BetOnline odds are of a great quality, especially for basketball, handball, soccer and Darts. Amazingly, they offer less than 3% margin for Ice Hockey. In this criteria, it is safe to say that BetOnline has the best betting odds and they have covered the markets well. There is nothing entertaining than live betting. One of the brand’s main focus is live betting and it is one of the best live betting bookmakers. If you want to access this option, you just have to visit the live betting section on the account. There is a tab for that purpose and you just have to click on it and then place your bet. There are different selections you can choose from and the BetOnline live betting odds are just impressive. You can select your favourite game and place your bet while the match is still in progress. The live betting interface is brilliant and it loads fast meaning there is no lagging. The live betting option has great volume, constant updates and fair juice. They seem to cover some of the major events and even the smaller ones. Opt in and start enjoying the best live betting feature any bookmaker would offer. BetOnline are known for their higher-than-average betting limits. Their fairly high limits might not impact so many people but in case you get a hunch, you can bet to your maximum. It is important to note that BetOnline will address on the betting limits of an event on a case-by-case basis and upon requests, they might change a customer’s betting limit. You can contact the BetOnline customer support via the various methods stated on their website for any special requests such as changing your betting limit. Many Live streaming bookmakers have such a large audience. It is unfortunate that this bookmaker has not added a BetOnline live streams feature to their website. It is however hoped that they will consider adding this option in the coming years. Players can still enjoy the live betting on BetOnline since it is of great quality. For players who prefer betting on their mobile devices, the BetOnline betting app is the best option for you. You can bet from your smartphone, iPhone, BlackBerry, and any other internet browser-enabled mobile device. This is among the better sites for those who are betting on their phone or tablet. The mobile app should mimic the form and function of the desktop version and this is what BetOnline has done. The layout is excellent and it allows a user to navigate their site efficiently. The mobile app is super fast, you don’t have to download it and you can use it anywhere and at any time. You can get it on the BetOnline website by simply typing BetOnline.ag. in case you are a new member, you can register for a BetOnline account on your mobile. If you already have an account, you just have to log in. the mobile app will give you complete access to all the events and features offered on the BetOnline website. There is a wide range of this bookmakers deposit methods that customers can use to make deposits. BetOnline accepts payments from Skrill, Neteller, Bank Wire, Credit cards such as Visa, Master Card, American Express, JCB, Money Order, Check, Person2Person, Bitcoin, and Book2Book. Deposits are processed instantly. The only fee charged is on deposits made via credit cards. The minimum deposit limit depends on the method a customer uses and they vary from one method to another. They start from as low as £10 and the maximum deposit amount is £50,000. This is a very sizeable range that should surely satisfy every customer. BetOnline offers players different ways to get their cash quickly. For every method, there is a stated window period but at times they even pay earlier. The payout times are close and never disadvantage any customer. The withdrawal methods available on BetOnline are Person2Person, Bank Wire, Check, Bitcoin, Skrill, Neteller, and Book2Book. They even do a better job by allowing customers track their transaction. The minimum withdrawal amount depends on the method you choose but it starts as low as £20 and the maximum goes close to £25,000. There is an option for bitcoin depositing and withdrawal which may be a big plus in the future. How would you rate BetOnline?